Blake Herzinger is a private-sector maritime security advisor assisting the U.S. Pacific Fleet in implementation and execution of the Southeast Asia Maritime Security Initiative and Pacific Command-wide maritime security efforts. He served in the United States Navy as an intelligence officer in Singapore, Japan, Italy, and exotic Jacksonville, Florida. His writing has appeared in Proceedings, CIMSEC and The Diplomat. He can be found on Twitter @BDHerzinger. Divergent Options’ content does not contain information of any official nature nor does the content represent the official position of any government, any organization, or any group. Date Originally Written: September 24, 2017. Date Originally Published: November 27, 2017. Summary: Regional conflict brews in Southeast Asia as states vie for access to fish stocks and, increasingly, rely on Illegal, Unreported and Unregulated Fishing (IUUF) to meet national requirements. IUUF risks the collapse of targeted fish stocks, destroys the maritime environment, degrades internal security, and brings national security forces into increasingly-escalatory encounters. Text: Over one billion residents of the Asia-Pacific rely upon fish as their primary source of protein, and the fish stocks of the region are under a relentless assault. Current estimates place IUUF at between 11 and 26 million metric tons (MMT) yearly (total legal capture is approximately 16.6 MMT yearly), with an estimated value loss to regional economies of $10-23.5 billion. Over a 25 year period, fish stocks in the South China Sea have declined anywhere from 6 to 33 percent, with some falling as much as 40 percent over the last 5 years. In 2015, at least 490 million people in Southeast Asia lived in chronic hunger, with millions of children throughout the region stunted due to malnutrition. Illegal fishing’s pernicious by-product is the critical damage done to the maritime environment by those flouting fishery regulations. As large fish become more scarce as a result of industrial-scale overfishing, smaller-scale fishermen turn to dangerous and illegal practices to catch enough fish to survive. Blast fishing obliterates coral reefs and kills indiscriminately, but despite prohibitions continues at a rate of nearly 10,000 incidents a day in Philippines alone. Cyanide fishing is also still widespread, despite being banned in several Southeast Asian countries. Used to stun fish for live capture (for aquariums or regionally popular live fish restaurants), cyanide contributes to the devastation of coral reefs across the SCS. Giant clam poaching also has deleterious effects on reefs across the region as poachers race to feed Chinese demand for these shellfish. Reefs throughout the Coral Triangle are interdependent, relying on one another for pollination, and as the reefs are destroyed by poachers seeking short-term gains, or even by small fishermen eking out a subsistence lifestyle, the effects of collapse ripple outward across the region. The region is approaching an inflection point at which the damage will be irreparable. The People’s Republic of China (PRC), which accounts for one-third of global fish consumption and is the world’s largest seafood exporter, fittingly leads the way in aggressively protecting its fishing fleets with an overwhelmingly powerful coast guard that dwarfs any other maritime law enforcement body in Asia. As IUUF and environmental destruction cut into maritime resources and competition for those increasingly scarce resources escalates, national maritime law enforcement and naval forces are being rapidly expanded and widely deployed to protect natural resources and domestic fishing fleets. If unmanaged, the friction generated by these fleets’ increasing interaction could easily explode into violent conflict. For many countries in the region, the state’s legitimacy rests largely upon its ability to provide access to basic necessities and protect its citizens’ livelihoods. Tens of millions across East Asia and Southeast Asia depend on fisheries for employment and, in many cases, their survival. Should fish stocks begin to fail, regional states’ foundations will be threatened. The combination of inadequate food supply and loss of livelihood could reasonably be expected to spur civil unrest. In a state such as Indonesia, where 54 percent of the population relies on fish as its primary animal protein, historically weak institutions and propensity for military intervention only amplify the potential consequences of food insecurity. In the PRC, the Chinese Communist Party (CCP) actively encourages illegal fishing to provide its 1.379 billion people with the fish, seafood and marine products that its lower-and-middle-class, as well as elites, expect. Legitimacy of the CCP, at least in part, is dependent on the continued production of regional fisheries and desire to buttress its legitimacy will continue to drive this vicious cycle. The above mentioned calamities can occur in isolation, but they are most often interlinked. For instance, in the infamous 2012 Scarborough Shoal incident, Philippines maritime law enforcement boarded a PRC fishing boat that had been engaged in giant clam and shark poaching, as well as coral reef destruction. Armed PRC maritime law enforcement vessels intervened and sparked an external dispute that continues in 2017. Ensuing flame wars between Filipino and Chinese hackers and economic measures enacted by the PRC against the Philippines threatened stability in both the domestic and international spheres of both countries. The threat posed by IUUF is not just about fish, its direct and follow-on effects have the potential to drag Southeast Asia into disastrous conflict. Till, G. (2013). Seapower: a guide for the 21st century. London: Routledge Ltd.
Captain Geoffrey Gage, U.S. Navy, is a Federal Executive Fellow at The Brookings Institution Center for 21st Century Security and Intelligence in Washington, DC. The views expressed by the author are his own and do not reflect those of the U.S. government, the Department of Defense, or the U.S. Navy. Divergent Options’ content does not contain information of an official nature nor does the content represent the official position of any government, organization, or group. National Security Situation: People’s Republic of China (PRC) land reclamation and coercive maritime activity in the South China Sea (SCS) contradicts international law and threatens U.S. national interests while a nascent U.S. foreign policy and other strategic challenges limit U.S. options. Date Originally Written: February 10, 2017. Date Originally Published: April 10, 2017. Author and / or Article Point of View: The author believes that current U.S. foreign policy, though limited in detail, provides a starting point for addressing the security situation in the SCS. Background: Among the competing claims in the SCS, the PRC considers most of the SCS sovereign territory. Recent PRC maritime interference, land reclamation and fortification in the SCS constitute the most assertive claims and, despite international condemnation, have achieved de facto control of new territory. More broadly, in dealing with SCS and other international relations issues, the PRC prefers bi-lateral problem solving in search of “win-win” outcomes, while prizing clout that derives from participation in multi-lateral fora, military exercises, and summit meetings. Nascent U.S. foreign policy under the Trump administration, labeled “America First,” prioritizes defeating the Islamic State of Iraq and Syria and rebuilding the military. “Embracing diplomacy” is a stated intention while better trade deals for the U.S. are a constant theme. Administration statements and actions have generally supported these priorities, though the President’s fiscal year 2017 budget suggests fewer fiscal resources for diplomacy. In the near term this adds up to an economy of force: military operations focused in the Middle East, managing security commitments elsewhere in order to rebuild readiness, and forging advantageous trade deals. Significance: The security situation in the SCS threatens regional stability and the security of sea lanes. The SCS is the maritime crossroads for trillions of dollars in trade between globally dispersed producers and consumers. The SCS is also important for U.S. naval forces operating between the Pacific and Indian Oceans in support of regional alliance commitments and, more generally, maintaining freedom of the seas. The SCS is not a vital national interest for the U.S. The SCS is not as critical to U.S. national security as the prospect of North Korean nuclear armed intercontinental ballistic missiles. Nevertheless, the security situation in the SCS is very important to the U.S. because of its alliance commitments and the potential for military conflict, indirect economic harm, and degradation of international norms. The PRC view of the “South Sea” as a vital national interest explains, though does not excuse, their actions. In addition to vital trade flows, the SCS offers an extension of PRC military capability. What’s more, Communist Party of China (CPC) legitimacy derives in part from SCS adventurism. In advance of this year’s 19th CPC Congress, even the status quo gains in the SCS may be sufficient for the party—and President Xi—to claim success and retain tight control. The April 2017 U.S.-PRC summit will likely focus on basic relationship building, North Korea and trade. The SCS security situation, if left unaddressed, could be construed as tacit U.S. acceptance. A reasonable near-term objective may be to maintain the status quo. Given emerging “America First” foreign policy priorities, U.S. SCS options are captured in two distinct categories, Indirect and Direct. Option #1: Indirect Approach. Leverage issues outside of the SCS to influence the PRC in the SCS. For example, tie the conditions of trade agreements to PRC actions in the SCS. Another option is greater U.S. patience on North Korea in exchange for the PRC’s cooperation in the SCS. A less fraught military option would be to exclude the PRC from participation in combined exercises such as Rim of the Pacific subject to better behavior in the SCS. This approach hinges on the U.S. “ask,” ranging from maintenance of the status quo to reversal of the PRC’s SCS island reclamation and fortification. Risk: Linking largely disparate issues may confuse U.S. priorities and further complicate relations with the PRC. Option #1, in the case of North Korea, could be perceived by South Korea as a sell-out for a less important issue, creating acrimony between allies and further destabilizing the situation on the Korean peninsula. Similarly, if the PRC perceives its position in the SCS as an existential one, it may refuse to “give” on trade agreements, sparking a trade war. Gain: Option #1 effectively makes the SCS more important to the U.S. from the PRC’s perspective. Success of this option depends on limited objectives and reasonable demands. If executed deftly, these indirect levers to stabilize the situation in the SCS could yield progress across a range of mutually important Asia-Pacific challenges while keeping the issue safely on the back burner. Option #2: Direct Approach. Focus efforts in the SCS region. Sustain the long-standing policy of routine military presence, including U.S. Navy freedom of navigation operations (FONOPS) near the contested land features. Conducting FONOPs and other military operations in the region is an obvious lever, with the option to adjust the frequency and nature of those measures, including land-based exercises with local allied and partner nations. Drawing “red lines” against further island reclamation or fortification is a logical consideration given past administration statements. Targeted economic sanctions on PRC entities supporting SCS activities is another lever. A novel and riskier measure would be to abandon U.S. neutrality with respect to claims in the SCS and endorse a solution—one that might include certain PRC claims. Finally, the U.S. could tie maintenance of the One China policy to the security situation in the SCS—a direct measure because Taiwan is an SCS claimant whose nationalist forbearers conceived of the nine-dashed line. Risk: Option #2 presents an array of risks, not least being a military confrontation that could undermine broader U.S. strategic priorities. In particular, drawing red lines in the SCS would dramatically increase the risk of confrontation, as would linking the One China policy to SCS issues. Mitigating the risk of a direct approach is done through incremental steps that are mindful of the broader regional situation. Gain: Option #2 is unambiguous and reinforces U.S. commitment and resolve on the key issues of freedom of navigation, territorial integrity and treaty obligations. The direct approach also contains the issue to the SCS, de-linking the matter from higher-priority issues facing the U.S. and the PRC. Other Comments: As the new U.S. administration develops a comprehensive national security strategy, foreign challenges and crises will not wait. Every “environmental monitoring station,” surface-to-air missile site and high seas harassment in the international waters of the SCS constitutes a “win-lose” in the Sino-American relationship. National Security Situation: The People’s Republic of China (PRC) is vying to establish itself as the Asian Hegemon. What caused this rapid shift in the PRC’s foreign Policy? Why, after decades of growth, where the PRC was ascribed the long view, has it rapidly accelerated military growth, reorganization, and a diplomatic and economic expansion across the world stage in a scale not seen since Zheng He’s voyages of the 15th century? Date Originally Written: February 2, 2017. Date Originally Published: April 3, 2017. Author and / or Article Point of View: This article is taken from the point of view of the PRC toward the U.S in the two decades following the third Taiwan Straight crisis of 1996. Background: In 1995, Taiwan’s president visited the U.S. to attend his graduate school reunion at Cornell. His visit, coupled with the U.S. sale of F-16s to Taiwan, incensed the PRC at what they viewed as possible changes in the U.S. and Taiwan view of the One China Policy. The PRC commenced a series of missile tests near Taiwan. The U.S. responded by sending two aircraft carriers to the vicinity of the Strait of Taiwan. The PRC realized they could do little to respond to U.S. actions and needed a way to ensure they never experienced this humiliation again. Significance: The law of unintended consequences often applies to national security. While U.S. action in 1996 was a clear demonstration of U.S. resolve, the PRC’s response has been to pursue a series of actions to reduce and possibly prevent the ability of the U.S. to influence events in Asia. Option #1: After viewing the U.S. way of war against Serbia, Afghanistan, and Iraq, whereby the U.S. consistently pushes its aircraft carriers close to the coast and launches strike fighters and tomahawk land attack missiles against targets ashore, the PRC must find a way to extend its borders out to sea into the ocean. This can be accomplished by placing relatively cheap long-range anti-ship missile batteries along the shore, increasing the number of ships and submarines in the People’s Liberation Army Navy and, in a bold stroke, build islands in the South China Sea (SCS), and claim the surrounding waters as historical boundaries of the PRC. Risk: There is a real danger that the U.S. will react to the build-up of PRC forces and rebuild its navy to maintain global influence. Previous U.S. administrations justified naval build ups to counter the Soviet threat however, by keeping activities below the threshold of armed conflict, we believe the U.S. will not be able to convince its public of the need for a large military buildup, especially following the years of conflict the U.S. has recently experience in the Middle East. While Asian nations could turn to the U.S. out of fear, this can be mitigated through strong economic measures. Asian nations may also attempt to challenge the PRC in the international courts, but the lack of enforcement measures in the international system removes this a real concern. Gain: Option #1 will prevent U.S. access to the waters they need to block the PRC from maneuvering against Taiwan. Due to the proliferation of short-range fighters, and the lack of anti-surface capability of many U.S. warships, the ability of the U.S. to offer a timely response to a forcible re-unification of Taiwan could be prevented. Option #2: When we look back to Sun Tzu, and realize the best course of action is to attack the enemy’s strategy, we must determine what other strategy the enemy could impose. While Option #1 will be effective in countering the U.S. ability to easily execute its traditional means of bombardment from the sea, another option is available to the U.S.; the long-range containment strategy used against the Soviet Union could possibly be executed with a long-range blockade. By focusing on key choke points such as the Strait of Hormuz and the Bab Al-Mandeb from the Red Sea, an adversary could block much-needed commodities such as oil and rare earth elements needed in the PRC defense industry. Just as the PRC invoked the historical nine-dash line to establish autonomy in the SCS, revitalizing the historical one belt one road to connect Asia to Europe and Africa will easily stop any means of isolating or containing the PRC. By continuing investment throughout the world, especially in economically disenfranchised areas, the PRC can prevent the types of alliances used by the U.S. during the Cold War to isolate the Soviet Union. Risk: If the PRC moves out too quickly, it spreads itself too thin internationally, and risks alienating the very countries with whom it hopes to partner. The drain on resources over time will become increasingly difficult. The PRC’s ability to be a free rider on U.S. security will winnow as other countries will expect the same from the PRC. Gain: The PRC establishes itself as a both a regional hegemon, and a global power. The PRC asserts influence over the global economy and geopolitics to rival the U.S. in a multi-polar world. Option #2 removes the ability of the U.S. to polarize the eastern hemisphere against the PRC. Other Comments: Through a rapid economic development program centered on an export economy in a globalizing world, the PRC has embarked on a multitude of options, covering the diplomatic, informational, military and economic spectrum. It has employed both above options, which have caused the world to react, often favorably to the PRC. The question for the PRC now is how to maintain the momentum, solidify their role in a changing world order, and not show their hand too quickly lest they implode. The question for the U.S. is whether it will continue to pursue the U.S. way of war that has been studied so ably by the PRC, or pursue other options as it both cooperates and competes with the PRC on a rapidly evolving world stage. National Security Situation: Conflicting territorial claims in the South China Sea (SCS). Date Originally Written: January 21, 2017. Date Originally Published: March 27, 2017. Author and / or Article Point of View: The author is a U.S. Naval Officer serving on staff duty at U.S. Pacific Command. The article is written from the point of view of U.S. policymakers weighing options in Southeast Asia and the SCS. Background: Philippine President Rodrigo Duterte’s decision to table the Hague’s Permanent Court of Arbitration June 2016 ruling was a strategic setback for the U.S.. While the Hague’s ruling legally invalidated the People’s Republic of China (PRC) “Nine Dash Line” under the U.N. Convention on the Law of the Seas (UNCLOS), Duterte’s increased ties to the PRC and deteriorating relationship with the U.S. have led to a potential “fait accompli” in the SCS. Instead of pressing their claims through international engagement, the Philippines has decided to engage the PRC solely through bilateral forums, and the status quo of the PRC occupying and building islands in the SCS will continue unopposed by the principal aggrieved party. Significance: The SCS represents a strategic point of friction between the PRC and the international community, particularly with the U.S. While territorial disputes in the Senkaku Islands and Taiwan involve major military powers and treaty alliances with the U.S., the international environment in the SCS is more permissive to incremental PRC actions to acquire territory (aka “salami slicing”). The Philippines is the only regional treaty ally to the U.S., and Duterte’s sidelining of the Hague’s ruling imperils regional neighbors like Vietnam, Malaysia and Indonesia – all of whom have territorial disputes with the PRC’s Nine Dash Line. The danger for the U.S. is that the PRC may militarize its expansive holdings in the SCS and expand the People’s Liberation Army’s defensive perimeter to the south, thus reinforcing the PRC’s counter-intervention capabilities. Option #1: The U.S. repairs relations with Duterte and restore the alliance with the Philippines. Risk: Duterte has pushed numerous controversial policies within the Philippines during his short tenure as President, namely the extrajudicial killings of drug-related criminals. Duterte’s rhetoric has been alienating and crude, particularly when involving the U.S. and the previous Obama Administration. Duterte’s strong feelings about the U.S. are deeply rooted within his personal life and Philippine history, and this bias may be insurmountable through diplomacy. Furthermore, the PRC has offered Duterte significant economic development and loans, all of which were aimed at dissuading him from aggressively pursuing the Hague’s ruling and improving relations with the U.S. Even if the U.S. was successful in repairing the relationship with Duterte and the Philippines, doing so may create a perception that the U.S. will accept undermining the rule of law in return for strategic concessions. This messaging is contrary to the U.S.’ position on the SCS and territorial disputes, in addition to open governance and a rules-based international system. The greatest risk is that in persuading Duterte to move forward with the Philippine’s legal case against the PRC, the U.S. may be forced to abandon the international principles driving its foreign policy. Gain: Improved relations with Duterte and the Philippines would restore the U.S.’ foothold in the SCS for promoting a rules-based international system. The Philippines is a treaty ally and historical partner of the U.S., and it is unlikely that a closer relationship could be formed with other SCS nations. Additionally, the Philippines successful legal case against the PRC provides legitimacy to its territorial claims – namely against the illegal PRC seizures of several reefs and fishing grounds in the SCS. Although the weakness of the Philippine Navy and Coast Guard has prevented aggressive patrols of its territorial waters, partnership with the U.S. would provide avenues for equipment and training, in addition to opportunities for intelligence sharing and improved maritime domain awareness. Option #2: The U.S. pivots diplomatic and military engagement to Vietnam in the SCS. Risk: Although the PRC more recently fought Vietnam during the Sino-Vietnamese War of 1979, the bitter history of U.S. involvement in the Vietnam War will complicate relations between the U.S. and Vietnam. The nominally communist government of Vietnam, and its rejection of democratic governance in favor of one party rule, will likely be domestically unpopular in the U.S. compared to partnership with the Philippines. Additionally, Vietnam’s historical partnership with Russia may impede meaningful intelligence sharing with the U.S.
Gain: When compared to the other SCS claimants competing with the PRC, Vietnam’s investment in maritime defensive capabilities is outstanding. The legacy of Soviet sea-denial strategies has led to Vietnamese investment in coastal defense cruise missiles, integrated air defense systems, submarines, and patrol craft to defend its SCS territories. Vietnam has militarized its holdings in the SCS in ways the Philippines and other claimants have been unable or unwilling to do. Vietnam’s geography near the major PRC naval bases on Hainan Island, and its holdings throughout the Spratley Islands, would put PRC military assets at asymmetric risk in any regional conflict . If the U.S. was able to gain basing rights from Vietnam, its ability to conduct Freedom of Navigation Operations would be assisted by a Vietnamese Navy and Coast Guard capable of maintaining a presence in contested waters. As a military partner to the U.S., the deterrent value of Vietnamese military capabilities in the SCS would be a credible improvement over the status quo. U.S. pursuit of imposing cost on aggressive PRC expansion in the SCS would be uniquely complimented by Vietnamese military capabilities. Other Comments: It is important that the U.S. maintains a regional ally in the SCS with territorial holdings. As an outside power, the U.S.’ goal of maintaining freedom of navigation in international waters can only be supported by partnership with a legitimate claimant. Captain Brian T. Molloy has served in the U.S. Army in Afghanistan and various posts around the U.S. He presently works as a Project Manager at the U.S. Army Corps of Engineers in Pittsburgh, PA. The opinions expressed in this article are his alone and do not reflect the official position of the U.S. Army, the Department of Defense, or the U.S. Government. Divergent Options’ content does not contain information of an official nature nor does the content represent the official position of any government, any organization, or any group. National Security Situation: U.S. options towards the People’s Republic of China (PRC) as it continues to rise and increase its influence in the region surrounding the South China Sea (SCS). Date Originally Written: January, 26, 2017. Date Originally Published: March 20, 2017. Author and / or Article Point of View: Author is an active duty U.S. Army Officer. Author believes in the use of force as a last resort and where possible, diplomacy should be the primary lever in influencing foreign powers. Background: The U.S. and the PRC are currently playing out a classic dyadic relationship according to power transition theory. This power transition theory is playing out in the SCS with the rising PRC asserting itself militarily and the declining U.S. attempting to reassert control of the region by addressing such military action with “balancing” actions. Recently U.S. balancing actions have utilized the military instrument of power with the Pacific Pivot and freedom of navigation missions as the most visible. This U.S. response is playing directly into the beginning stages of a conflict spiral that so often follows with a power transition. The idea of a military deterrent is often floated as the logical alternative to war. In this case, however, both of the major powers are already a nuclear power with a nuclear deterrent in place. This nuclear deterrent works to ensure that a direct conflict between the two would be unlikely, however, as we saw in the Cold War, this deterrent does not keep the powers from fighting through proxy wars. The options presented in this article assume rising influence of the PRC and a declining influence of the U.S., both militarily and economically, in the region. The SCS has become a potential flash point between the two powers as the PRC uses it’s military to claim land that is also claimed by longtime U.S. Allies in the region. Significance: In an increasingly multi-polar global environment, regional powers such as the PRC are becoming a larger threat to U.S. interests throughout the world. The potential for conflict in the SCS represents the opportunity for the U.S. to either assert influence in the region or cede that influence to a rising PRC. Control of the SCS is essentially a trade-driven power move by the PRC towards its neighbors. As such, trade could be the primary focus of the response from the U.S.towards the PRC vice a more dangerous military confrontation. Option #1: The U.S. and the PRC seek a strong bi-lateral trade agreement to replace the Trans Pacific Partnership (TPP) and the U.S. leverages negotiations on this trade agreement to provide security guarantees to allies in the SCS region. With the downfall of the TPP the option to enter into a strong bi-lateral trade deal with the PRC is now open. Negotiating this deal requires nuance and the ability to intertwine defense and trade into an agreement that is both beneficial to all economically, but also sets limits on military actions seen to be provocative to the U.S. and its Allies in the region. Precedent for this sort of diplomatic economic deterrent action can be seen in post WWII Western Europe with the European Steel and Coal Community (ECSC). When complete, Option #1 would be an economic deterrent to conflict in the region. This economic deterrent will utilize trade agreements to ensure the U.S. and the PRC are entwined economically to the point that a military conflict, even a proxy conflict, would be too costly to both sides. This economic deterrent could be the action that needs to be taken in order rebalance power in the region. Risk: The largest risk in entertaining this approach is that it opens the U.S. to the risk of an economic catastrophe if the approach fails. This risk would likely be unpalatable to the U.S. public and would have to be crafted carefully. Additionally, under the current administration, a trade deal similar to this could be difficult due to the ongoing rhetoric coming from the White House. Finally, this approach risks leaving long-time U.S. Allies no way to dispute their claims in the SCS. Gain: This agreement gains the lessened risk of a conflict between the U.S. and the PRC and also has the potential for large economic growth for both sides. A mutually beneficial trade agreement between two of the largest economies in the world has the potential to remove the risk of conflict and simultaneously improve quality of life domestically. Option #2: The U.S. can use its trade power to balance PRC influence in the region through encouraging the Association of Southeast Asian Nations (ASEAN) to trade as a bloc. This is essentially an Asian version of the European Union which can build multilateral trade agreements and also leverage economic sanctions to assert power in the region. Building ASEAN to be able to handle this would require a more inclusive membership of some of the more powerful Asian countries, Japan, and the Republic of Korea among them. This effort would require a radical overhaul of the ASEAN bloc but would benefit much smaller countries as they try to address the influence of the PRC. Risk: The U.S., particularly under the current administration, is not a proponent of supranational organizations. In order for Option #2 to work the U.S. must have a stake in the game. Additionally, the U.S. risks losing influence in the region to the newly formed ASEAN economic power. There is the possibility that the newly formed ASEAN could forge close ties with the PRC and other trading partners and leave the U.S. out. Finally, the SCS is fraught with competing claims not only between the PRC and ASEAN members, but among ASEAN members themselves. Those conflicts must be worked out before the ASEAN bloc could effectively manage the PRC. Gain: This option allows the U.S. to leverage the comparative power of an ASEAN bloc of mostly friendly countries to impose sanctions on the PRC on its behalf. In this way the U.S. is pushing regional allies take care of their own backyard while still maintaining influence in the region. The U.S. also benefits as it is able to trade effectively with a large number of Asian countries without entering into a free trade agreement like the TPP. Panetta, L. E., & Obama, B. (2012). Sustaining U.S. global leadership: priorities for 21st century defense. (pp. 2). Washington, D.C.: Dept. of Defense. Ryan Kort is a Strategic Plans and Policy Officer (Functional Area 59) in the U.S. Army. He currently serves as the Chief of the Strategy Branch at U.S. Army Africa / Southern European Task Force in Vicenza Italy. He is on Twitter @kort_ryan36. Divergent Options’ content does not contain information of an ofﬁcial nature nor does the content represent the ofﬁcial position of any government, any organization, or any group. National Security Situation: The People’s Republic of China (PRC) creation of islands and militarization of reclaimed islands in the South China Sea (SCS). Date Originally Written: February 9, 2017. Date Originally Published: March 9, 2017. Author and / or Article Point of View: This article, written from the point of view of a U.S. national security staffer, aims to provide both a collective security and an Anti-Access / Area Denial (A2/AD) deterrent option to the U.S. National Security Advisor. Background: The PRC adopted a policy of island building over shallow shoals in the SCS. The PRC forcibly evicted and continues to harass commercial and naval vessels from other SCS claimants such as the Philippines, Vietnam, and Malaysia through use of fisherman ‘militias’ as naval proxies and other means of gray-zone or ‘hybrid’ warfare. The PRC continues the rapid transformation of many of these semi-submerged reefs into islands replete with hard surface runways for strike aircraft and long-range air defense and fires (both tube and missile) capabilities, which pose an A2/AD threat to any actors the PRC may seek to keep out of its claimed ‘9 dash line’ area. Signiﬁcance: Other nations that border the SCS view the PRC’s actions as destabilizing, illegitimate, and threatening to their important national security and economic interests. Several reclaimed islands are within the Exclusive Economic Zones recognized by the United Nations Convention on the Law of the Seas. The SCS is a critical economic transit route, which approximately 30 percent of all annual maritime trade passes through, including $1.2 Trillion worth of goods destined for U.S. markets. In times of crisis, the People’s Liberation Army, Navy and Airforce could disrupt the free movement of commerce through the area and coerce other nations in the region to recognize PRC dominion over the SCS. Option #1: Utilize diplomatic efforts to contain the PRC through the creation of a collective security organization, similar to the now defunct Southeast Asian Treaty Organization also known as SEATO. This treaty organization would provide a deterrent option aimed at containing PRC adventurism and change PRC strategic calculation on future island building. Risk: The PRC will view this diplomatic effort to isolate their nation as overt containment and respond in a variety of ways with multiple means. At the greatest risk will be those nations the PRC deems vulnerable to coercion that it could peel away from the organization and undermine U.S. legitimacy. Additionally, this option risks immediate failure if those partners critical to the success of the collective security organization do not join- specifically Australia, the Philippines, Singapore, and Indonesia. This option also may become obsolete if the PRC completes the construction and garrisoning of the islands it needs to assert complete dominance over the SCS before an alliance to balance against it is in place. Gain: The U.S. checks the rise of a regional and potential global peer competitor. The U.S. stands to gain increased security cooperation and economic ties with the nations in the collective security organization. Option #2: Utilizing a multi-domain concept, the U.S. and select allies create an A2AD challenge for the PRC along both the ‘first’ and ‘second’ island chains in order to negate some of the operational and tactical advantages of PRC bases in the region. The entire coastline of the PRC is vulnerable to area denial. A strong foundation of U.S. Army maneuver, fires, and sustainment capabilities would enable the U.S. Navy and U.S. Air Force to operate more effectively within the region, while presenting the additional dilemma of embarked U.S. Marine Expeditionary Forces capable of striking critical facilities. An archipelagic defense through deterrence by denial would need expanded access to existing bases in Japan, with new footprints in the Philippines, Malaysia and Indonesia. The U.S. could employ a mixture of permanent or rotational forces in the region to demonstrate U.S. capability and resolve. Additionally, the U.S. must have sufficient forces in the region capable of blockading PRC transit through the Strait of Malacca if required. Risk: The key risk associated with this option is vertical and horizontal escalation. A minor incident could intensify quickly and impact other theaters in the U.S. Pacific Command area of responsibility, such as Korea. Another risk is loss of or initial refusal to allow access to bases in the nations mentioned earlier, which would unhinge this option. Additionally, resourcing this A2/AD effort with sufficient forces would commit limited U.S. resources, such as air defense and long-range joint fires, to this single problem set. Gain: The U.S. deters conflict through placing PRC assets at risk in both the SCS and across the majority of the Chinese seaboard. Additionally, this option presents the PRC with a dilemma if it should attempt to utilize hybrid or militia forces due to the increased presence of U.S. and allied forces capable of deterring such ‘hybrid’ aggression at the tactical and operational level. Lieberthal, Kenneth and Jisi, Wang, Addressing U.S- China Strategic Distrust, March 2012, Brookings Institute. Washington’s security ties with other nations in the region and other actions viewed by China as efforts to constrain China. Divergent Options is calling for papers related to national security situations in the South China Sea. Prospective authors can address any national security situation related to the South China Sea large or small. Please write using our article template. Please send your article to submissions@divergentoptions.org by February 10, 2017. If you are not interested in writing on this topic we still welcome individual articles on virtually any national security situation an author is passionate about. Please do not let our call for papers cause you to hesitate to send us your idea. We look forward to hearing from you! Countries bordering the South China Sea include Brunei, Cambodia, China, Indonesia, Malaysia, the Philippines Singapore, Taiwan, Thailand and Vietnam. Other countries such as the United States and Russia also have interests in the South China Sea. Business Insider has a great article that may inspire potential authors titled “Tensions in the South China Sea explained in 18 maps” which can be accessed here or downloaded in a PDF here. Select articles from the “Options in the South China Sea” call for papers will be republished by the Center for International Maritime Security (CIMSEC). 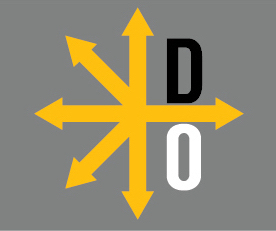 We are pleased that CIMSEC sought to have a relationship with Divergent Options and we are excited to give our writers the opportunity to reach the CIMSEC audience! What options does any country bordering the South China Sea have to address a national security situation related to another country bordering the South China Sea? What military or non-military capabilities need to be developed by any country bordering the South China Sea to address a national security situation related to another country bordering the South China Sea? What options does the Philippines have to balance its relationship with China as a dominant economic power with its relationship with the United States as a dominant security partner? What options are available to address friction caused by China’s Maritime Militia? What options are available to maintain regional fishing rights in the South China Sea? What non-military options does the United States have that can be used to overcome Anti-Access / Area Denial threats within the South China Sea? What options does China have to further establish their Nine-Dash Line territorial claim? What options does U.S. President Elect Donald Trump have to pursue U.S. interests in the South China Sea? What options does China have to pursue its interests when Donald Trump becomes the U.S. President? What options does Iran have in pursuing its interests in within the South China Sea?